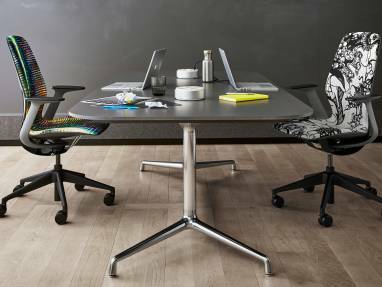 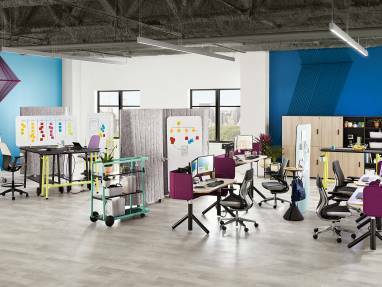 Inspired by agile and design thinking teams, The Steelcase Flex Collection empowers teams to adapt their space on demand. 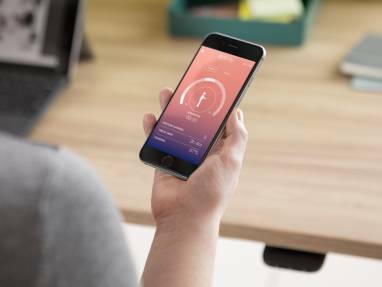 Fuel Better Ideas: Get Active. 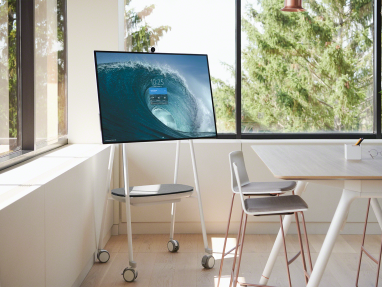 Collaborate anywhere, anytime, any way with Microsoft Surface Hub 2S and Steelcase Roam. 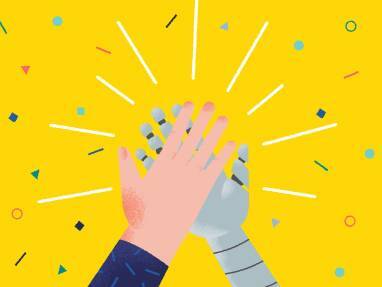 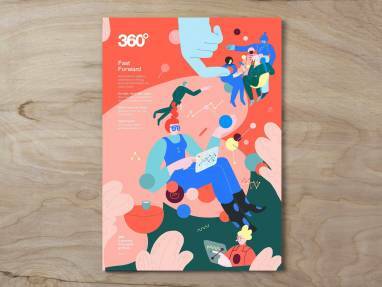 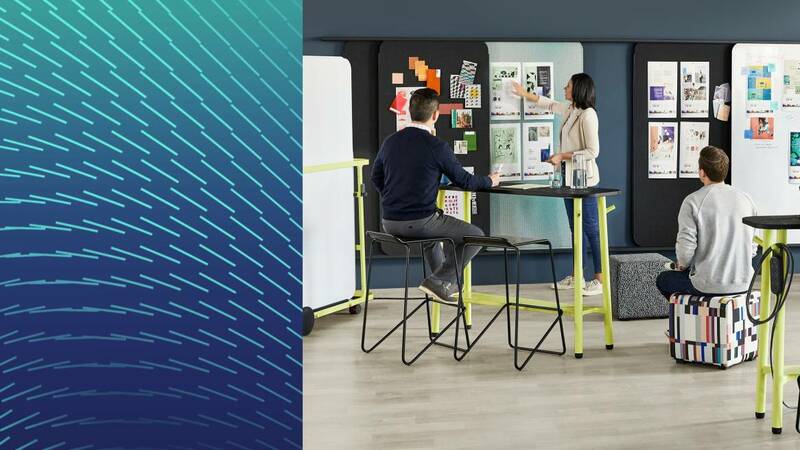 Hyper-collaboration is here and it’s redefining teamwork and "me" work. 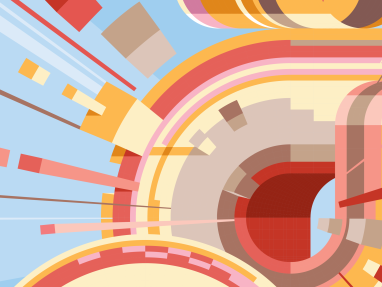 What does the research show and how can we empower people to excel in this fast-paced game? 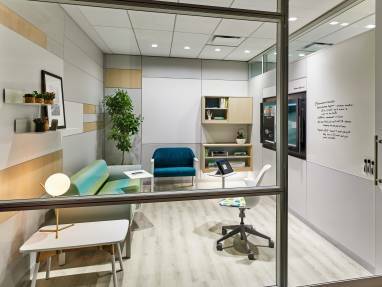 We’re bringing on spring with fresh ways to re-energize the workplace. 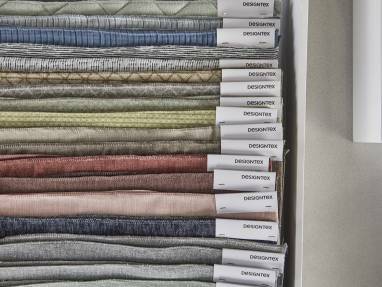 With an array of fresh products and partnerships, we invite you in to explore what’s new. 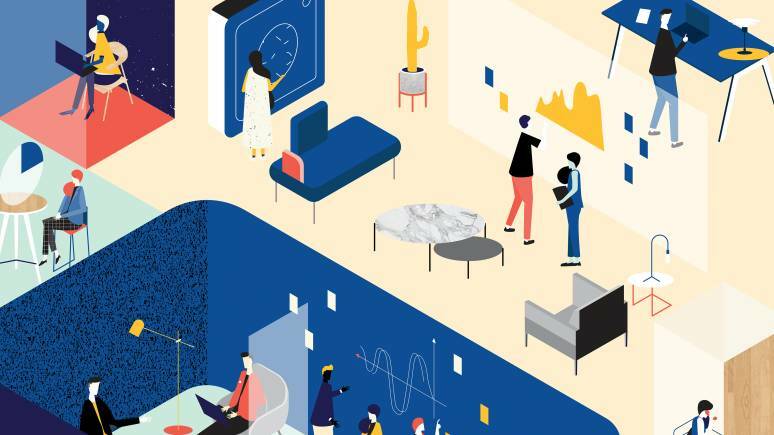 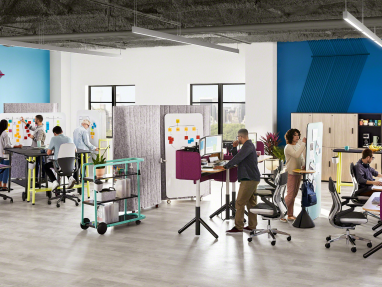 The Steelcase Flex Collection empowers teams to create spaces that can be rearranged on demand, creating environments teams and individuals need to do their best work. 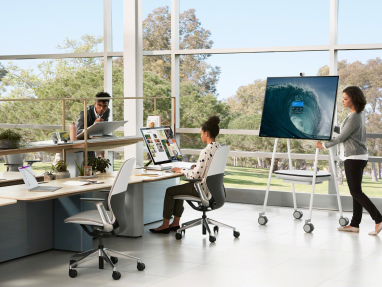 Co-developed with Microsoft for the Surface Hub 2, the lightweight mobile stand and easy-to-install wall mount of Steelcase Roam untethers teams from traditionally limited collaborative environments so they can work together how they like: easily, actively and spontaneously. 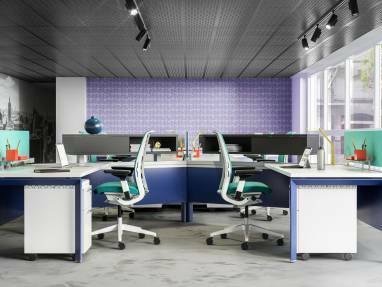 Greenpoint Private Office offers a contemporary take on the private office with its distinct visual language and fresh materiality options. 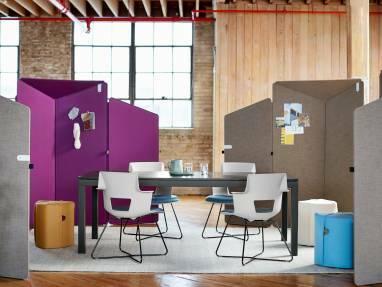 Mackinac, designed for movement and transition, creates microzones that support the different types of work from deep concentration to broad collaboration. 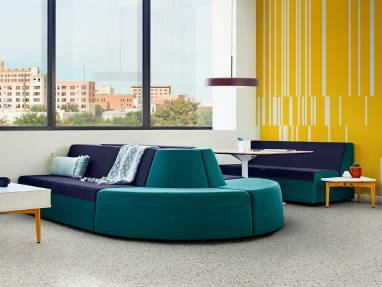 Campfire Lounge System by Turnstone can be configured to build an unlimited number of seating arrangements. 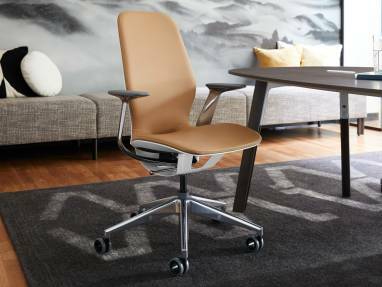 The SILQ chair is a breakthrough in seating design with innovative materiality and a personal experience by responding to the unique movements of your body. 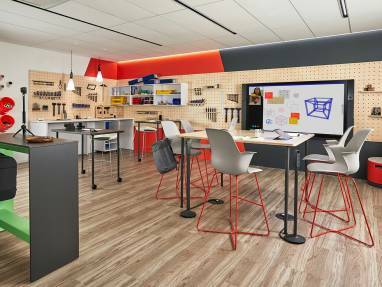 Coalesse has developed color, pattern and materials capability programs that bring more selection to their products through these paths to customization. 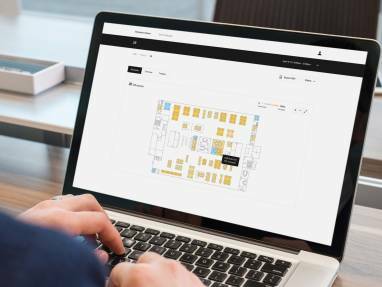 Workplace Advisor Subscription is a continuous space management tool that lets organizations monitor, quantify and optimize ongoing workplace performance. 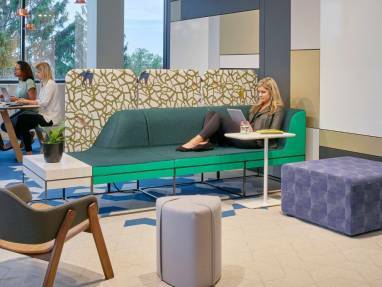 Answer fence, beam and panel system furniture offer a range of applications, aesthetics, technology integration and privacy, for creativity and performance. 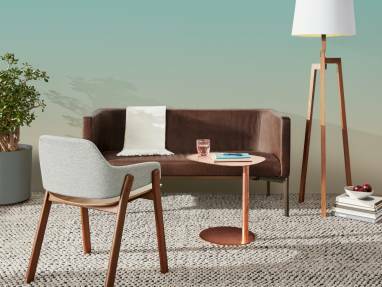 Thoughtfully designed to blend traditional materials, Shortcut Wood adds character to informal spaces without sacrificing comfort. 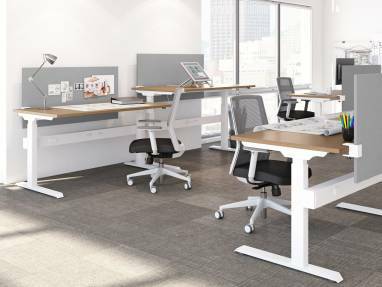 Brody Desk is a high-performing private workstation designed specifically for the in-between spaces in corporate and education environments. 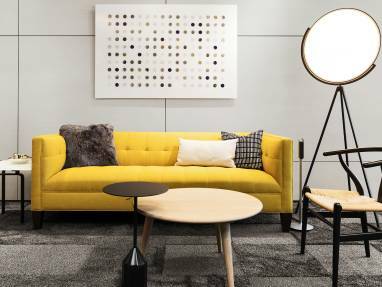 Since 2015, West Elm has committed to bringing its residential sensibility to the modern office space and creating contract-grade furnishings. 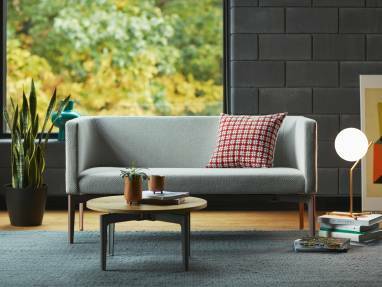 Bolia is an award-winning Danish design company with a passion for Nordic design traditions, sustainable materials and craftsmanship. 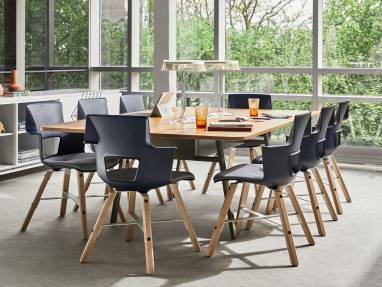 Extremis, with headquarters and manufacturing in Poperinge, Belgium, specializes in intelligently designed outdoor furniture. 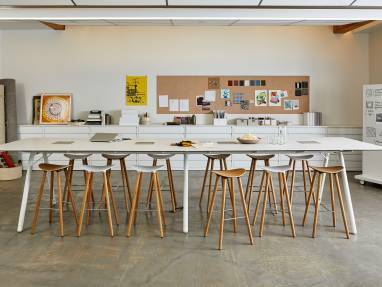 FLOS is a global leader in lighting design founded in Italy in 1962. 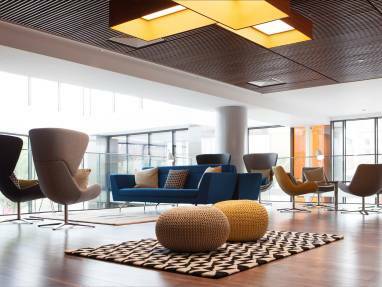 FLOS produces lights that transcend their function, adding poetry to illumination. 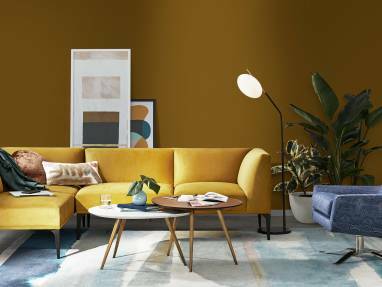 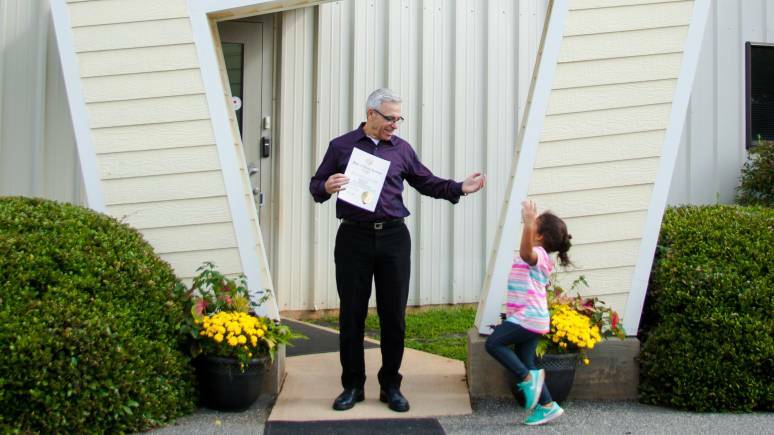 Mitchell Gold + Bob Williams is a 28-year-old home furnishing brand with a focus on high-quality, comfortable hospitality and commercial furniture. 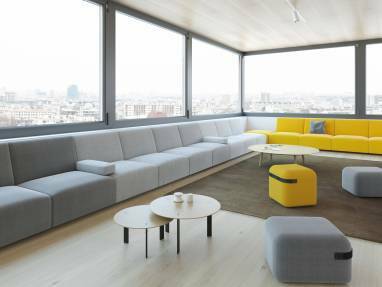 Based in Valencia, Spain, Viccarbe offers contemporary furniture designed by prestigious international designers – useful in homes as well as offices. 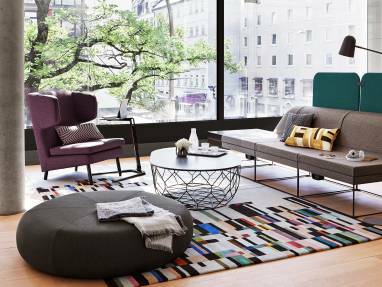 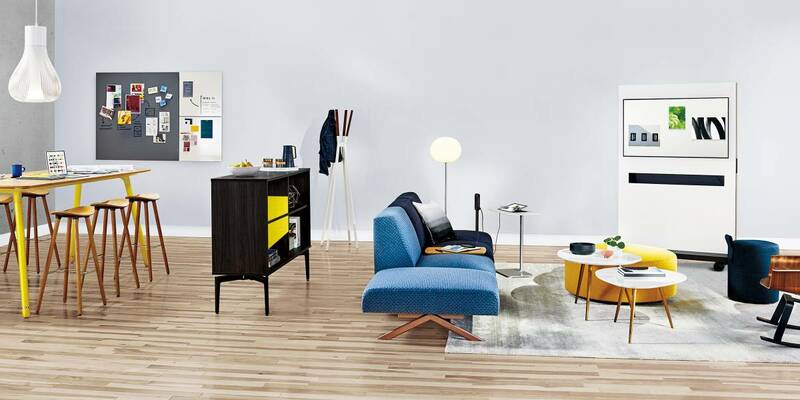 Blu Dot is a Minneapolis-based designer and maker of modern furnishings, spanning multiple home and office categories. 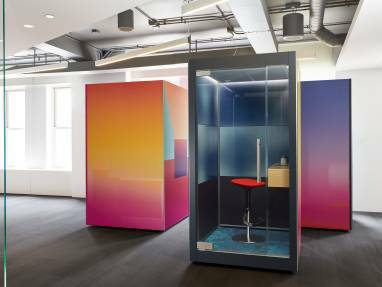 SnapCab was founded in 1983 and has an expertise in elevator interiors. 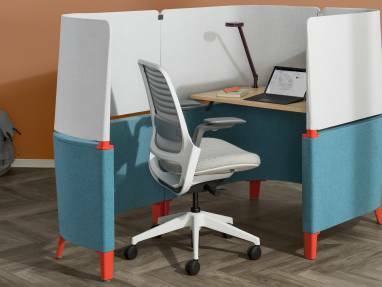 Their innovative mindset led to the development of the SnapCab Pod. 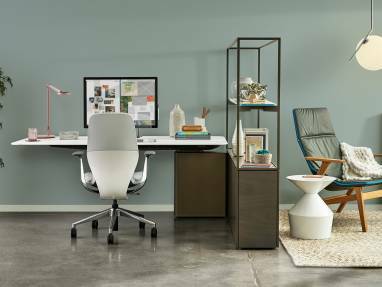 With a focus on fine craft and high design, Coalesse products make a bold statement in your space without sacrificing wellness at work. 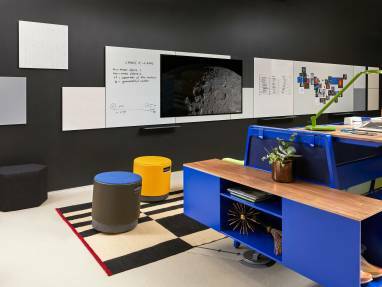 Turnstone gives entrepreneurs the tools to drive productivity and foster a positive culture that will help elevate their businesses. 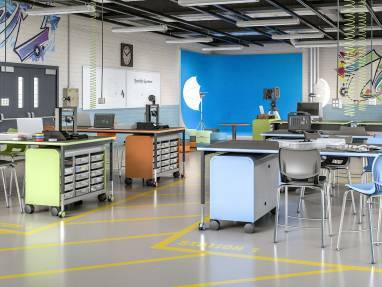 PolyVision’s CeramicSteel surfaces enhance a range of spaces, from large public art installations to information displays for classrooms. 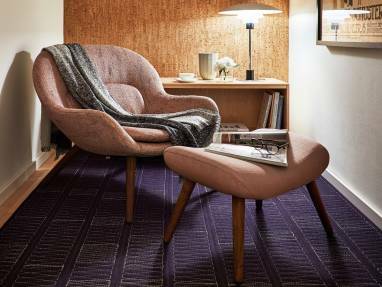 From textiles to wall coverings, Designtex produces digitally imaged materials with reduced environmental impact. 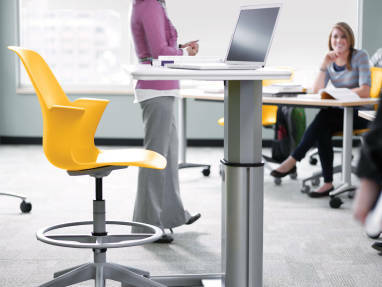 AMQ offers flexible furniture solutions for open-space offices which are agile, modern in design, and ship quickly. 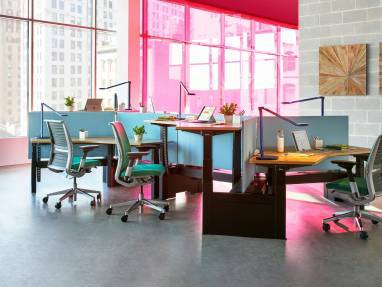 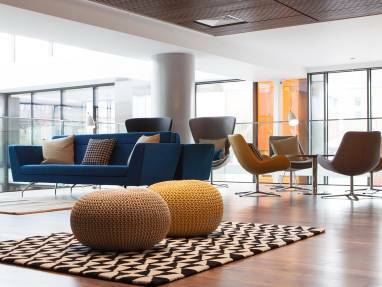 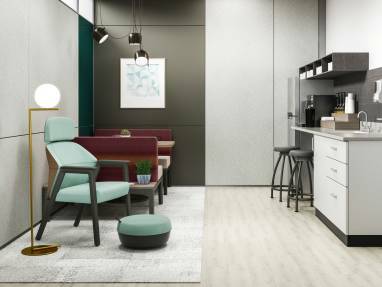 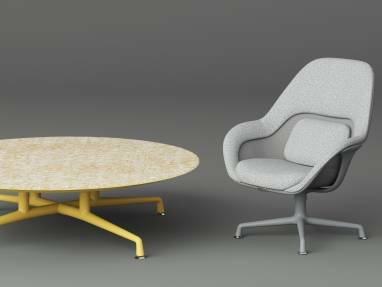 Orangebox is a UK-based designer and manufacturer of furniture for the changing workplace with a focus on “Smartworking” solutions.